Hot water is necessary for your household. Nobody wants to jump into the shower and find out that nice and comforting warm water goes iced cold. For your convenience Adam’s HVAC, Inc. offers water heater replacement. Our company promotes Rheem since it is the best-selling brand of water heaters in United States, so we are certain that you will be satisfied with any choice of Rheem water heater for your family’s needs. We are committed to develop hot water solutions with great performance and features for every lifestyle and budget. We also give 1-year warranty for labor on each job we complete, no matter what brand you choose (we install and service all brands and models). When you plan building addition to your house with bathroom or upgrading a standard bathroom to a master suite with large soaking tub and multi-head shower system you might be required to upgrade your water heater to a larger gallon capacity unit. Rheem tank water heaters provide dependable and large volume of low cost hot water. Fuel sources can be natural gas, propane or electricity. Tank water heaters are the most common way to heat water in America. 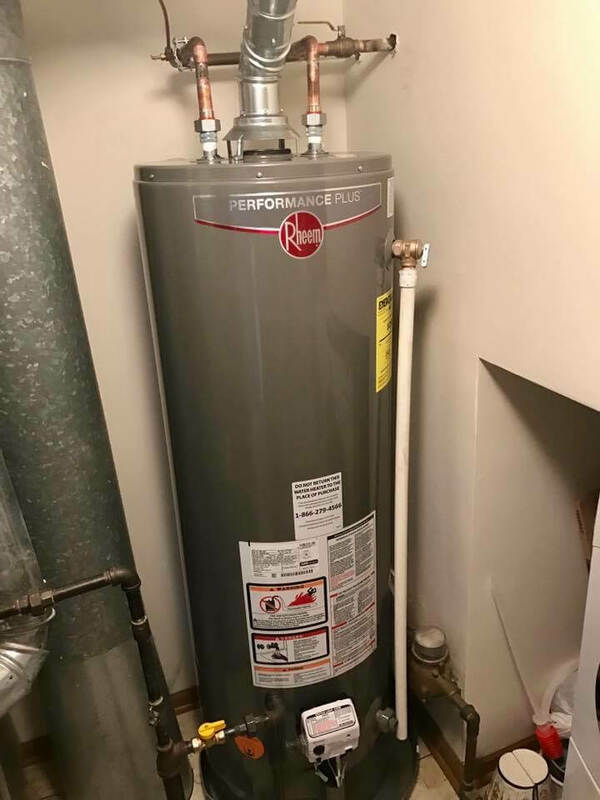 Residential tank water heater usually stores between 20 and 80 gallons of hot water. The temperature can be adjusted right on the unit. The factory setting is usually 120°F. Tank water heaters are typically installed in the garage, basement or attics. Consider replacing your water heater. Water heaters are unreliable after flood and also manufactures recommend replacing water heater that has been flooded. Combustion may not fully burn gas, causing fire and explosion hazard. You should call professional to check if your water heater is safe to turn back on after flood. Simply click below to let us solve your problem. ADAM'S HVAC - The complete solution to your heating and cooling needs.